Multiresolution meshes enable us to build representations of geometric objects at different Levels of Detail (LODs). We introduce a multiresolution scheme whose data structure allows us to separately restore the geometry and topology of a mesh during the refinement process. 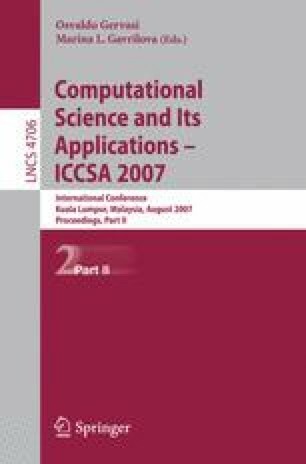 Additionally, we use a topological criterion (not a geometric criterion, as usual in the literature) to quickly simplify a mesh, what seems to make the corresponding simplification algorithm adequate for real-time applications such as, for example, on-line computer games.